Longtime Wewoka resident Ollie May O'Guinn, age 95 went to be with her Lord and Savior on Saturday, January 19th, 2019 at Boyce Manor Nursing Home Holdenville, Oklahoma. 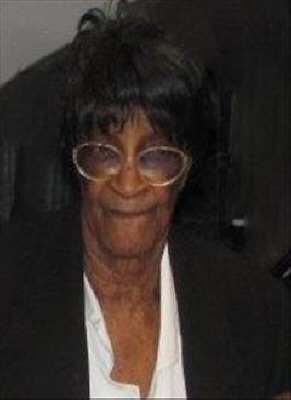 She was born on September 1, 1923 to the late Robert James and Hattie White James. She was a graduate of Douglas High School. Ollie met and married Ulysses "Celia" O'Guinn on May 15, 1945.Their marriage blossomed for 56 years and to this union three sons were born. Ollie worked for Mr & Mrs Earl Patterson for many years until her retirement. She was an active member of St Joseph Baptist Church. Receiving a 50 year member plaque December 13, 1998. She was a faithful member until her health would not permit her to attend service. Preceding her in death are her husband , son David O'Guinn Sr.; eight brothers, nine sisters, three grandchildren David O'Guinn Jr, Sidney O'Guinn, and Donna O'Guinn; great-granddaughter LaRontavea Huntley, and great-grandson Baby boy O'Guinn. Funeral service scheduled for 11:00 AM Wednesday, January 30, 2019 at St Joseph Baptist Church with Rev. Clive Cochran officiating , and burial to follow at Westwood Cemetery, Wewoka, OK.
To send flowers or a remembrance gift to the family of Ollie May Oguinn, please visit our Tribute Store. "Email Address" would like to share the life celebration of Ollie May Oguinn. Click on the "link" to go to share a favorite memory or leave a condolence message for the family.